'Ancient woodland' is a term widely used in England for long-established semi-natural woods, shaped by centuries of traditional management. As an official designation, it describes woods which have existed since the early seventeenth century, and which today contain a distinctive range of plants which find it hard to colonise more recently wooded ground. Such woods are often assumed to provide a direct link with the natural vegetation of England, as this existed before the virgin forests were fragmented by the arrival of farming. This groundbreaking study questions many of these assumptions. 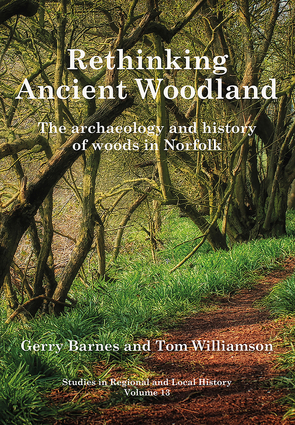 Drawing on more than a decade of research in Norfolk, the authors emphasize the essentially unnatural character of ancient woods. Their distinctive ecological characteristics only emerged after they had been enclosed from the surrounding 'wastes' in early medieval times, and began their career as factories for the production of wood and timber. Since then they have been dynamic environments, changing in response to wider economic trends and demographic pressures: and much of their botanical character has been forged by relatively recent history. Woods are, moreover, rather less stable features of the landscape than is sometimes supposed. Few ancient woods retain, in whole, their original boundaries, and woodland has come and gone from the countryside over the centuries. While most officially recognised 'ancient woods' probably occupy areas never settled or cultivated, many have been planted on, or regenerated over, sites formerly used in other ways, and often in quite recent times – in the seventeenth, eighteenth or even nineteenth centuries. These can display characteristics usually assumed to define genuinely 'ancient' examples, including impressive arrays of the classic 'ancient woodland indicator species'. 'Ancient woodland' is not really a discrete environment at all, and an over-emphasis on conserving a defined list of such woods can lead us to neglect our other woodland environments, many of which have their own historical or ecological importance. This important volume will be essential reading for all those interested in the history of the English countryside, nature conservation and environmental history. Gerry Barnes, MBE, served as Head of Environment at Norfolk County Council, and is now a researcher at the University of East Anglia, studying the history of trees and woodlands in eastern England. Tom Williamson is Professor of Landscape History at the University of East Anglia. He has written widely on landscape archaeology, agricultural history, and the history of landscape design.